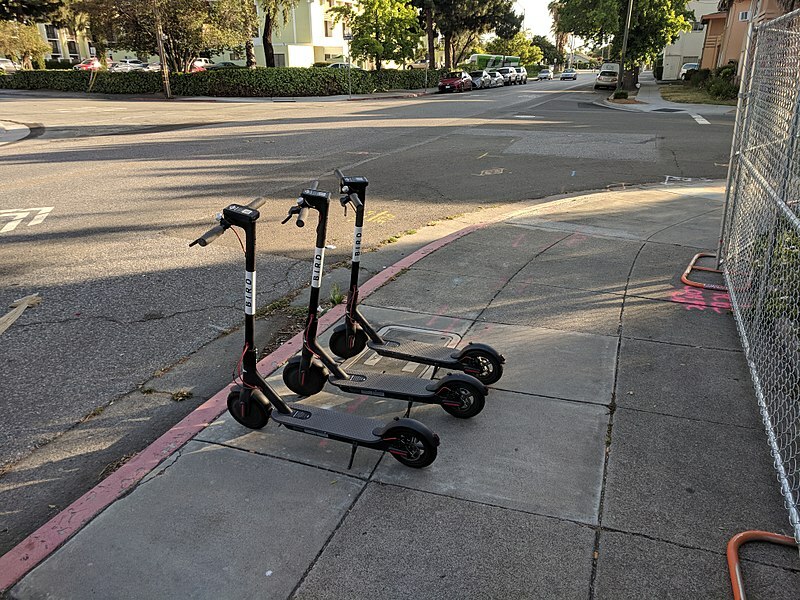 Bird and Lime scooters are a new mode of transportation that are rapidly gaining in popularity in California. These electric scooters provide easy mobility at a low cost to both the rider and the environment as an inexpensive, convenient way to travel. But as with most transportation, it can come with risks. There are many types of injuries that can occur while riding a scooter. If you or a loved one have been injured while riding a scooter or by a careless rider of a scooter, you are entitled to compensation. You know you need to meet with a lawyer but do you know what questions to ask? Here is a good place to start. Why are scooters so dangerous? Scooters are not, by themselves, dangerous, unless there is an issue with the scooter like malfunctioning brakes. What makes scooters so dangerous are people. In many instances of scooter accidents, the person riding the scooter isn’t paying attention and runs into a pedestrian. But other times, the blame falls on drivers of nearby vehicles. Despite strict California laws attempting to reduce distracted driving, many drivers don’t see or don’t take the time to look for scooters. This is why, when you’re riding a scooter, you should take it upon yourself to be extra vigilant because you know the drivers around you won’t. Even when you are extra careful, you can still find yourself in an accident that is not your fault. Being involved in a scooter accident isn’t fun. It can be a confusing for everyone involved, with uncertain feelings about how to proceed and what the next steps may be. If you’ve been injured, call 911 immediately to get help. Even if you aren’t injured, stay at the scene, take pictures of everything and report the accident to the police (and request a copy of the accident report). Exchange contact information with anyone involved as well as any bystanders who witnessed the accident. Call a scooter accident lawyer for help with what to do to move forward. Generally speaking, the person who caused the accident is liable for any resulting injuries. But, as with many things in the legal field, it depends. Many types of scooter accidents occur and there are just as many resulting injuries. Whether you have neck or back pain, broken bones, spinal cord injury, head trauma, or a concussion, scooter accidents can have lifelong effects. This is why it’s crucial to have your case reviewed by a knowledgeable scooter accident lawyer who can help you get on the road to recovery. What kind of compensation is possible to receive? Many clients mistakenly believe insurance will cover all of their needs. Some insurance companies prey on this belief and will make less than reasonable settlement offers. Taking such an offer may leave you having to pay out of pocket on medical bills and living expenses. You need someone you can trust to help you account for all of the expenses and get a reasonable settlement offer. How can a scooter accident attorney help me? Just like with any legal issue, an attorney is always a good first step. Our team can effectively and honestly review your situation and determine the best course of action to help you on your path to recovery. An experienced scooter accident attorney can handle settlement negotiations with the insurance company to help you maximize your compensation. If you are injured by a distracted driver, a pothole, or a scooter left in harm's way, you deserve representation that will fight vigorously for you and get you the compensation you deserve so you can start the healing process. At Steinberg Injury Lawyers, our attorneys have extensive experience handling personal injury and scooter accident cases just like yours. Contact us today by calling 800-989-6385 for a free, no obligation evaluation of your case to see how we can help.